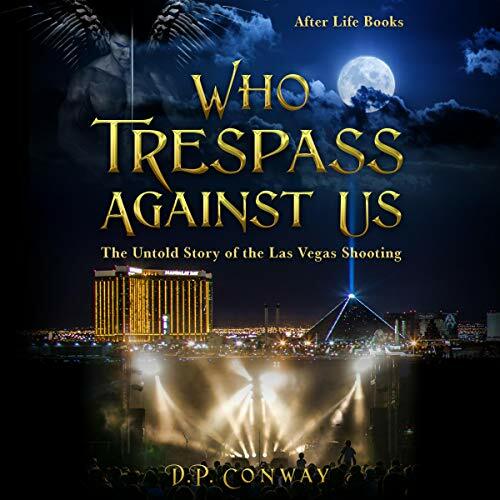 A gripping fictional account of one of the United States’ worst tragedies, Who Trespass Against Us is an emotional account of a killer's lineage and upbringing, with a surprising ending that will offer solace and comfort to all. The story begins with the dark connection to the killer’s ancestry and moves quickly into the criminal life of his father, Bingo Bruce, and his “Bonnie and Clyde” style mistress, both of whom cast long shadows over the killer’s life. Conway keeps you on the edge of your seat as Paddock’s heinous crime races to its conclusion in a way you may not have anticipated. After the shooting, you will witness the judgment, where Paddock will face his victims and receive his sentence. But the story does not end there, because Conway also presents the inspiring story of a young woman and her best friend, both country music fans, who journey together through life and face that dark night together. It has been said that great storytellers use their imagination to bring order out of chaos, and in this work, D.P. Conway does not disappoint. I absolutely loved this audio book. Randy Hames does an excellent job of putting you right in the middle of the action. The author, Daniel Conway has a writing ability that makes you feel as if you are there living in the moment. If you have ever wondered what happens when we die, then you definitely need to listen to this book. I recommend this audio book to anyone that is suffering from grief or just looking for possible answers concerning the afterlife.